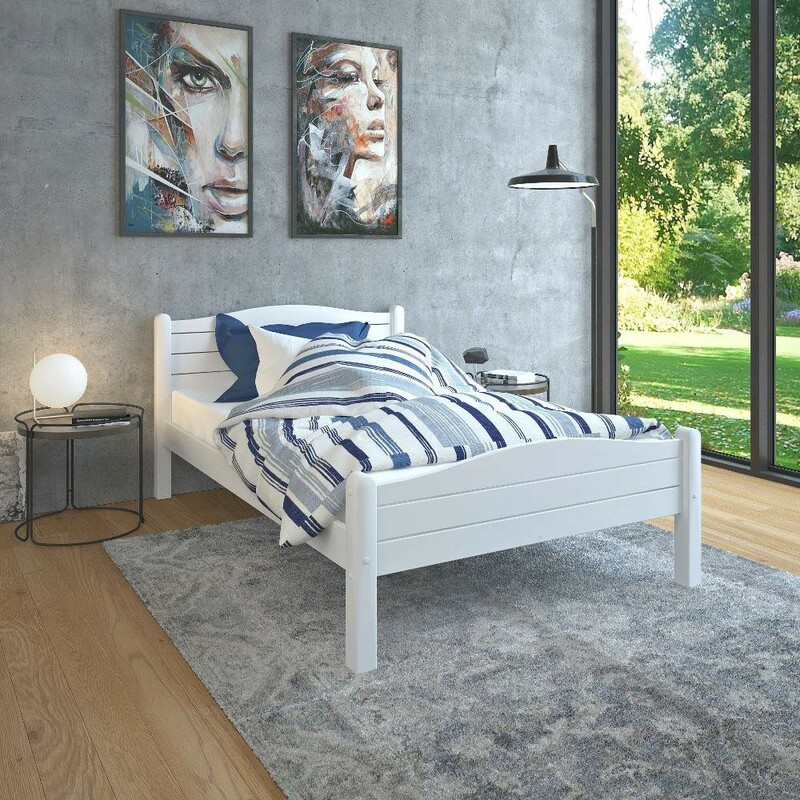 Designed with an eye that blurs the line between classic and contemporary, the Elwood White Wooden Bed is a superb bedframe that blends well into essentially any kind of home. 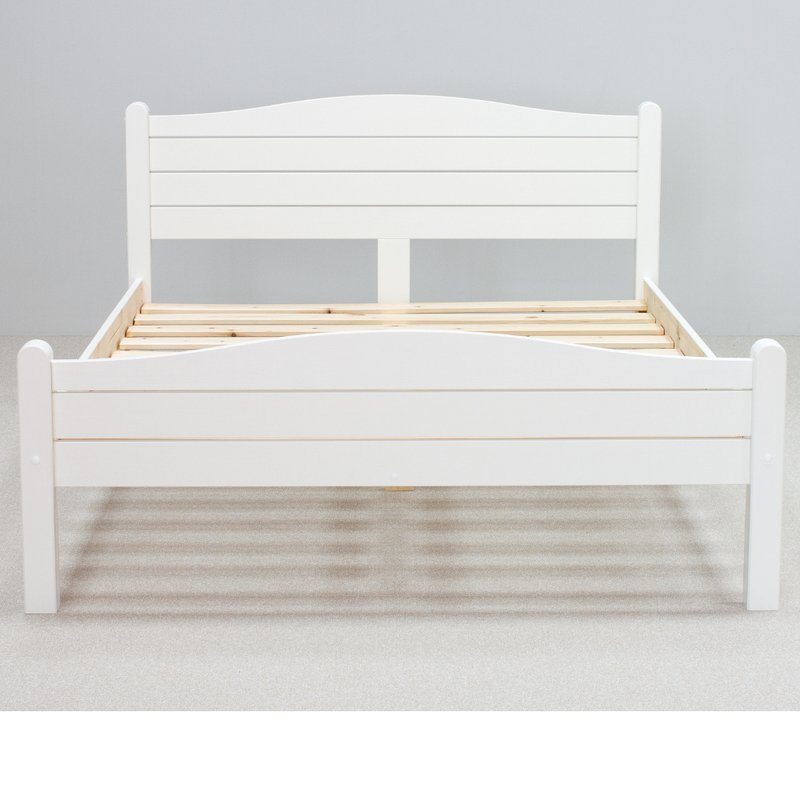 Crafted from high quality Scandinavian Baltic pine, the Elwood White Wooden Bed is both stylish and incredibly durable. Thanks to its beautiful barred and arched head board and footend, the Elwood White Wooden Bed serves as a fantastic addition to both traditional rooms and modern bedrooms. Whether it"s placed in the master bedroom, the guest room or a young adult"s bedroom, the Elwood White Wooden Bed is sure to be a brilliant fit. 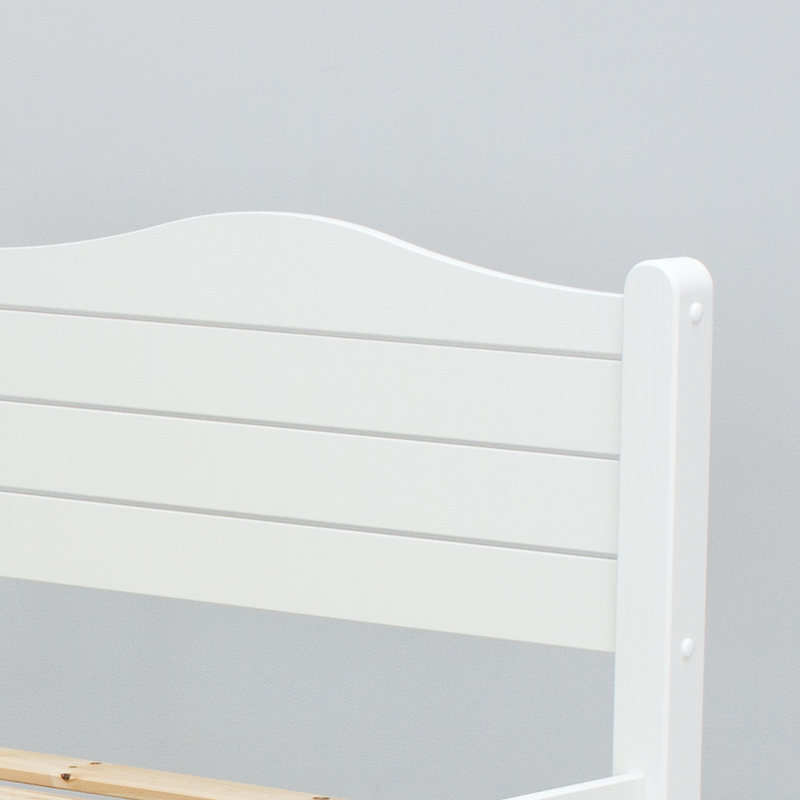 Though it arrives in a flat pack format, the construction process for the Elwood White Wooden Bed is relatively simple. This process is made all the simpler thanks to the easy to follow instructions that come partnered with it.